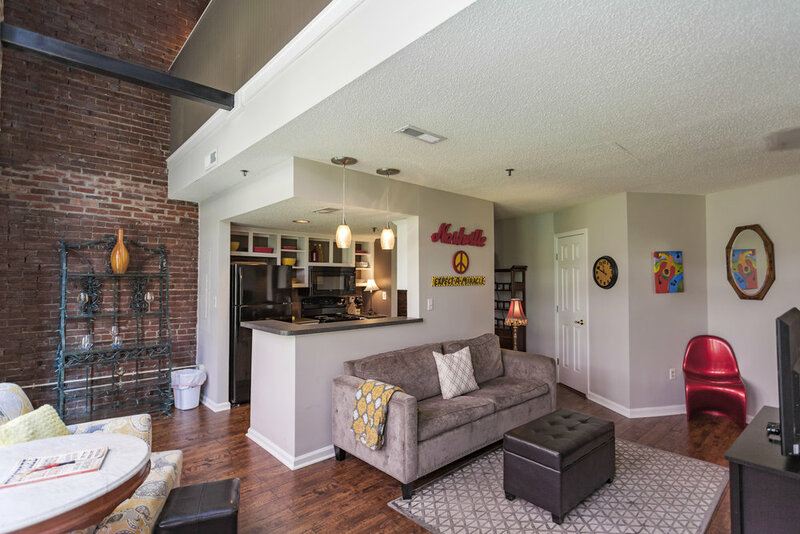 Book your Nashville trip in one of our vacation apartments and lofts located just steps from all the fun, food and activities that Nashville has to offer. 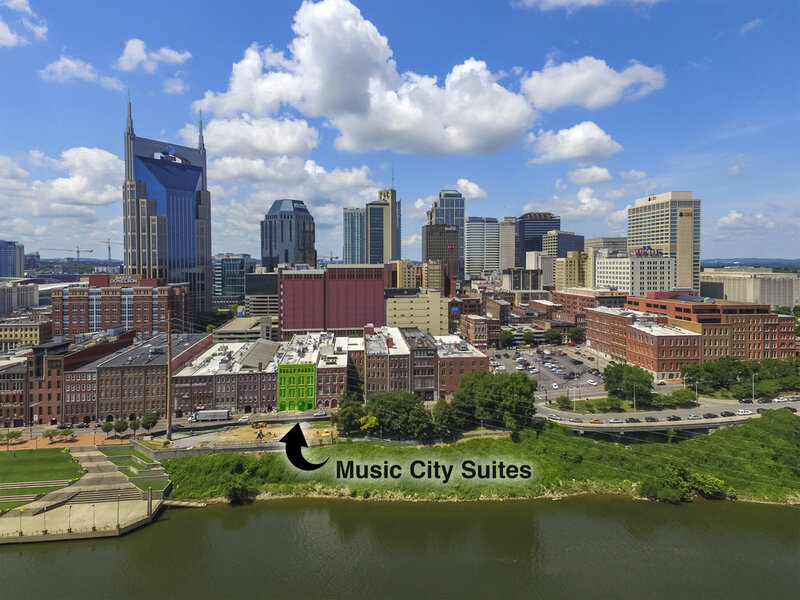 Music City 1 and Music City 2 are one-bedroom lofts with 1.5 bathrooms. Both have sleeper sofas and MC2 also has a twin sleeper. Music City 4 has three bedrooms, 2.5 bathrooms and lots of sleeping space – and is perfect for groups. Music City 5 and Music City 6 are both two bedrooms with two full bathrooms and each has a half bath. Both are great for couples. MC6 is larger and includes a comfortable sleeper sofa downstairs. Music City 10 and Music City 11 are the finest apartments in downtown Nashville. 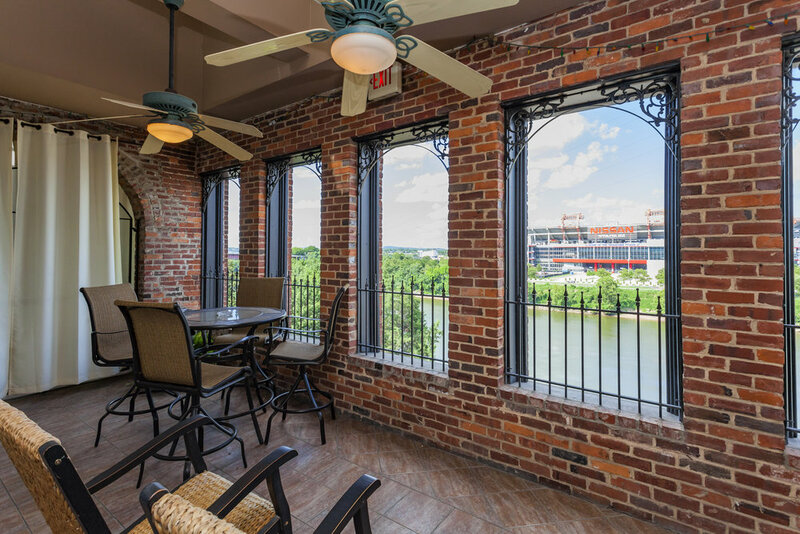 The large porches overlooking the Cumberland River make these apartments special. Both are more than 2,000 square feet. Music City 10 has two bedrooms and comfortably sleeps six to eight (two on couches), while Music City 11 has three bedrooms and two sleeper sofas, comfortably sleeping up to 10. Music City Suites are located in the historic Rhea Building on Second Avenue North in downtown Nashville. Walk everywhere from here and then return to the comfort and security of your own private apartment.